Looking for documentation, tutorials, or videos so that you could learn about Oracle Cloud Services? You can find all of these resources and more here in the Oracle Help Center. Oracle Cloud is an enterprise cloud for business. Oracle Cloud offers self-service business applications delivered on an integrated development and deployment platform with tools to extend and create new services rapidly. Oracle provides free trial subscriptions and paid services at several pricing and service levels. Move your workloads from old Classic regions to our next-generation infrastructure (called Oracle Cloud Infrastructure), which offers consistent performance and more features at the same or lower cost. The best-of-breed SaaS applications in Oracle Cloud are integrated with social, mobile, and analytic capabilities to help you deliver the experiences customers expect, the talent to succeed, and the performance the market demands. The infrastructure services provide a set of core infrastructure capabilities like elastic compute, dynamic messaging and storage to let you run any workload in the cloud. Oracle Cloud Marketplace is an online store where you can shop for business apps and professional services that complement your existing Oracle Cloud products. Cloud at Customer brings the power of Oracle Cloud to your data center. 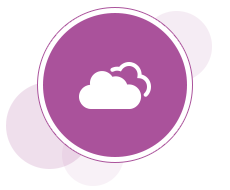 Get increased productivity, reduced costs, and unprecedented flexibility in how you consume cloud services.